The sons of two iconic exploration pioneers – Peter Hillary and Jamling Tenzing Norgay – will be joined by Jeremy Lindblad to recreate the historic 50km South Georgia traverse in celebration of Lindblad’s 50th year expedition anniversary. This spectacular adventure will include a historic rendezvous of National Geographic Explorer and National Geographic Orion for the final six-kilometre stretch of the route and a celebratory Explorer’s Masked Ball. Guests can meet the explorers onboard National Geographic Orion, departing Ushuaia (Argentina) on 24 October 2016, and National Geographic Explorer, departing two days later. Accomplished mountaineers are invited to submit their climbing credentials to be considered to join the entire 3-day traverse. 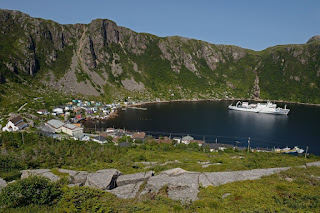 All other guests on both ships will be invited to hike the final 6 kilometres from Fortuna Bay to Stromness Bay alongside Hillary, Norgay and Lindblad. Lindblad guests on this extraordinary cruise will also get up close and personal with South Georgia and The Falklands’ incredible wildlife such as king penguins, seals and albatross. Guest who book now receive a AU$1,000 special savings offer per person plus free round-trip charter airfares Buenos Aires/Ushuaia (NG Explorer) or Santiago/Ushuaia (NG Orion) on the Oct. 2016 departures. Those interested in joining the traverse should contact Lindblad Expeditions CXO Trey Byus at ShackletonClimb@expeditions.com to learn what’s required. 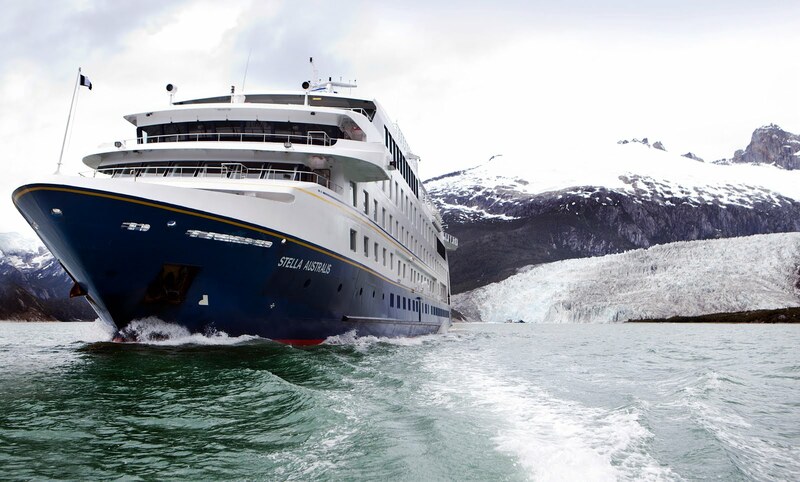 National Geographic Orion departs 24 October 2016 for 19 days; National Geographic Explorer departs 26 October 2016 for 18 days. Standard rates begin at $19,910 to $38,540. Far away from the rest of the world, Heritage Expeditions guide Evgeny Syroechkovskiy is working tirelessly to save a species from extinction. As the head of the conservation project for Birds Russia, Evgeny utilises his specialised knowledge on the Spoonbilled Sandpiper Project. The Spoonbilled Sandpiper is a wading shorebird with as few as 100 breeding pairs in existence which only breeds in the Russian Far East. This species uses the East Asian-Australasian Flyway as a migratory route however this ‘bird highway’ is potholed with dangers of habitat loss, hunting and human interference which has led to the severe reduction in numbers of birds. The Project is showing some success, but ultimately will only succeed with a co-operative approach from the multiple countries along the Flyway. Supporting the Spoonbilled Sandpiper is an ongoing project and Heritage Expeditions has been instrumental in relocating precious cargo of Spoonbilled Sandpiper eggs, logistical support, and yearly expeditions offering expeditioners the chance to be active Project participants. Evgeny Syroechkovskiy himself is an invaluable regular guide with Heritage Expeditions and shares his passion for this species with expeditioners. On a Heritage Expeditions voyage in July 2016, a previously unknown breeding area was located by expeditioners in conjunction with the Spoonbilled Sandpiper Recovery Team and they positively identified eight individual birds. Read more about this incredibly important find here. View the Captain’s Blog Updates from this expedition which includes the first announcement of the find here. Join the Heritage Expeditions team in the field with Evgeny Syroechkovskiy and help support his research and conservation efforts on our Siberia’s Forgotten Coast: In the Wake of Spoonbilled Sandpiper voyage, departing on 27 June 2017. 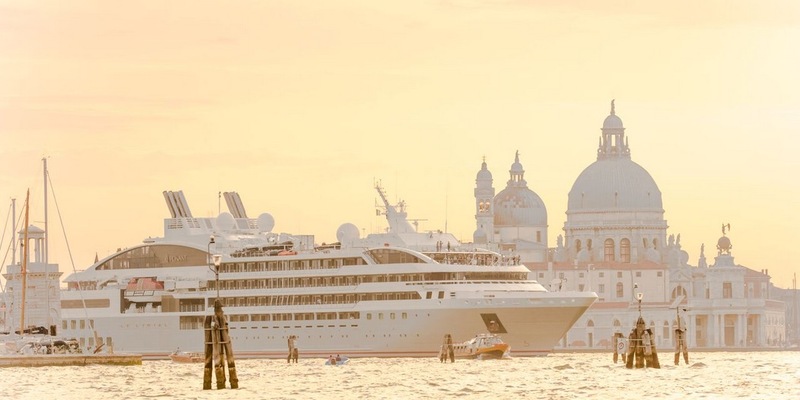 AdventureSmith Explorations, the company that brings cruise guests into intimate contact with seldom-visited shorelines around the world, recently announced the addition of the newly renovated Safari Voyager to its collection of the world’s premier small ships. To accompany the launch, guests will enjoy an exclusive discount on select 2016 and 2017 cruise departures in Costa Rica and Panama. For bookings now through August 30, 2016 cruise guests will save $350 per cabin aboard the Safari Voyager on AdventureSmith’s Uncharted Isthmus! Sloths, Monkeys & Mangroves cruise itinerary on scheduled departures set for Dec. 17, 2016; Jan. 7, 14, 21, Feb. 4, March 4, 18, and April 1, 15, 22, 2017. The eight-day adventures start at $2,995 per person, double before the discount. On AdventureSmith’s Pure Panama: Cultures, Coasts & Canal participants will also save $350 per cabin through August 30, 2016 on all 2017 departures from April through September. 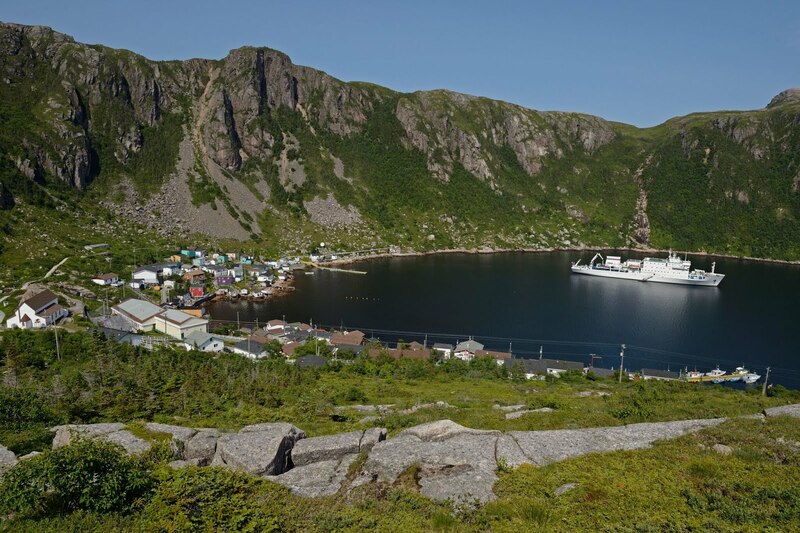 Pre-discount rates start at $3,795 per person, double for the nine-day cruise. In addition to cruise savings, travelers who let AdventureSmith Explorations plan a trip extension ashore in Costa Rica or Panama before or after the Pure Panama or Uncharted Isthmus cruises can save an additional $250 per person ($500 per cabin/couple). Both itineraries take place aboard the luxurious Safari Voyager, a 62-passenger, 174-foot yacht that AdventureSmith Explorations is introducing following the completion of the ship’s $4 million restoration this fall. Uncharted Isthmus is an eight-day voyage that explores the shorelines of Costa Rica and Panama by skiff, hiking, stand up paddle boarding, snorkeling and kayaking. The route covers the entire Pacific coastline of Panama — and most of Costa Rica’s as well — making this itinerary one of the most comprehensive ways to cruise the region. Highlights include transiting the 48-mile-long Panama Canal connecting the Caribbean Sea to the Pacific Ocean; visiting Costa Rica’s Corcovado National Park; snorkeling the crystalline waters at Panama’s Granito de Oro; and spotting wildlife like sloths, monkeys and macaws along the way. Pure Panama is another upscale small ship cruise that focuses on actively exploring Panama over nine days. From home base on Safari Voyager, guests travel by motorized dugout canoe to meet the local Emberá people; hike the magnificent Darién Jungle in search of wildlife; kayak along the Chagres River looking for toucans and monkeys; marvel at its history while transiting the 48-mile-long Panamá Canal; explore the historic UNESCO site Fort San Lorenzo; and kayak, stand up paddle board and snorkel among the rare beauty of Las Perlas and Guna Yala Islands. If a traveler were to combine these coastal explorations with any Costa Rica or Panama land trip, they can enjoy additional savings.“A top pick is our Tropical Volcano & Cloud Forest cruise extension, a fully guided six-day trip to Arenal National Park and the Monteverde Cloud Forest,” Smith added. Guests enjoy views from four public decks and a window-lined lounge offering an uncompromised 270-degree view with comfortable seating for all 62 guests and a full-service bar and deck seating. Other features include an elegant dining room and a new library on the Cabin Deck with eight floor-to-ceiling windows, plush furniture and nautical decor. The Sun Deck features a new al fresco public space with fitness equipment and lounge chairs. Two massage rooms are being added in her current renovation. An aft EZ Dock launch platform provides convenient access into and from the water for adventure activities. The vessel is outfitted with kayaks, stand up paddle boards, inflatable skiffs, snorkel gear, wet suits, and hiking poles. Guests can also take advantage of the onboard wellness program with fitness equipment, yoga mats and a complimentary massage. Generously sized staterooms include one owner’s suite, four suites and two single staterooms. All Safari Voyager cabins feature wide panoramic view windows above the waterline; individually controlled air conditioning; generous storage and closet space; desk and chair; iPod/MP3/4 docking stations; TV/DVD player; and private bath with shower. Depending on the stateroom category, singles, doubles, or triples can be accommodated. According to Indonesian Island Sail, special interest sailing trips around Bali has not only begun to trend, but will continue to rise steadily in popularity as more and more travellers venture beyond Bali in search of untouched islands and authentic Indonesian experiences. 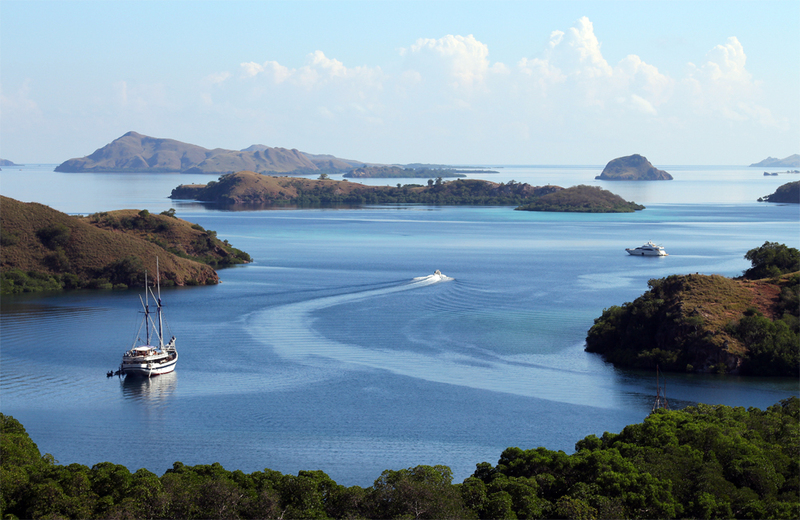 Owner and Cruise Director of Indonesian Island Sail, Amanda Zsebik, says with 70% of Indonesia's 17,800+ islands uninhabited, travellers, especially sailing enthusiasts, are realising the endless opportunities to be had or experienced around this nation of islands. "As one of only three sailing boats out of the 500+ that offer non-diving sails in the region, it has become evident that a gap exists in the market when it comes to catering to other special interest groups," says Zsebik. 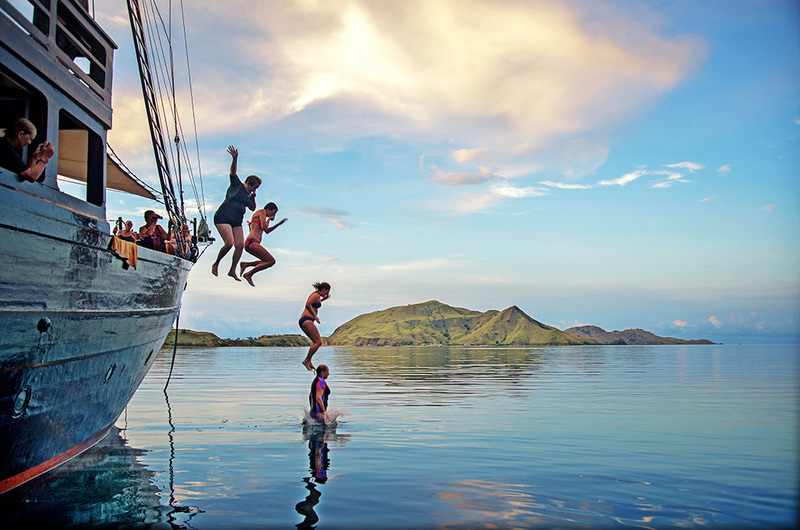 While sailing holidays on a small traditional phinisi (a traditional Indonesian two-masted sailing ship) is still relatively new, Zsebik's determination to introduce the concept to Australian holidaymakers keen to explore new island territories and local island experiences is paying off. "Since launching the business in 2014, we have added a number of special interest itineraries based on customer feedback and interests," she says. 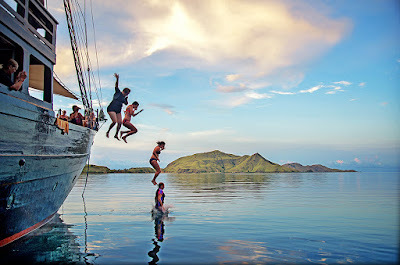 "Along with our original program of sailing to West Nusa Tenggara, we are extremely pleased that our yoga and cruise fit itineraries, which combine sailing, watersports, yoga or cross fit, have proven popular among travellers. According to Zsebik, her clients not only enjoy small group sailing holidays away from the masses, but even more so, they appreciate restful escapes in untouched natural surrounds. Indonesian Island Sail has added cooking and golfing to its itineraries for 2017. The seven-day cooking itinerary involves classes on preparing classic Indonesian meat and vegetable dishes as well as traditional desserts. The seven-day golfing itinerary involves learning, practicing and friendly golf matches with a PGA pro. All sailing itineraries include snorkeling, visits to marine life sanctuaries and isolated islands. All sailing tours are operated onboard the Al Iikai, which accommodates up to 15 guests in a mix of twin, double and bunk rooms. 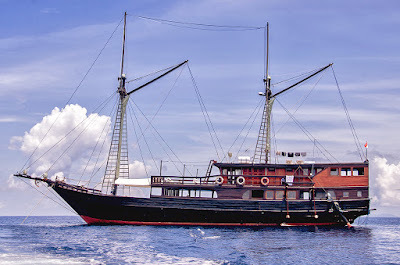 For bookings and more information, visit www.indonesiaislandsail.com. 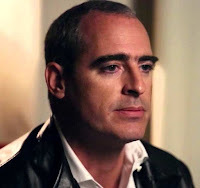 Founded by Amanda Zsebik, a Bali-based Australian entrepreneur with a background in financial consulting, property development and FMCG merchandising, Indonesia Island Sail was borne out of a lifestyle dream, which turned into a business venture in 2014. The sailing itineraries designed by Amanda aim to expose travellers to the relatively unknown islands of Indonesia, while encouraging them to engage with the authentic local culture, experiences and activities. 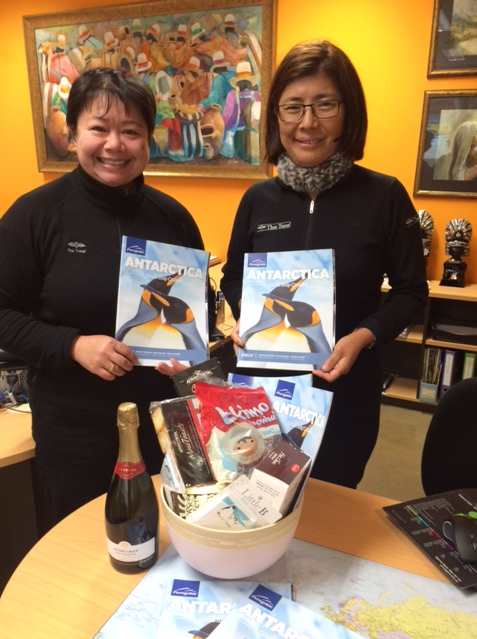 Lindblad Expeditions-National Geographic has announced the addition of two new departures to their Antarctica 2016 season on November 7 and November 17. 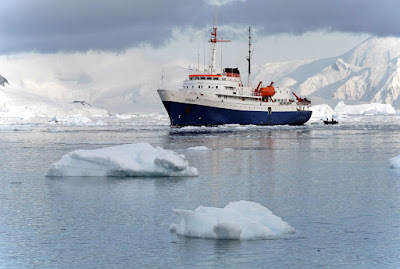 Celebrating the 50th Anniversary of the first citizen explorer voyage to Antarctica led by Lars-Eric Lindblad, the company cited the increased demand, and with two ships in the region, National Geographic Explorer and National Geographic Orion, the season is almost sold out. Both departures will be set aboard the 102-guest National Geographic Orion, and will follow the 11-night Journey to Antarctica: The White Continent expedition, one of the most exhilarating adventures the planet offers. Guests will experience the marvels of this world of penguins in astounding numbers, myriad bird species, and whales; the majestic ice sculptures, and the splendid solitude. 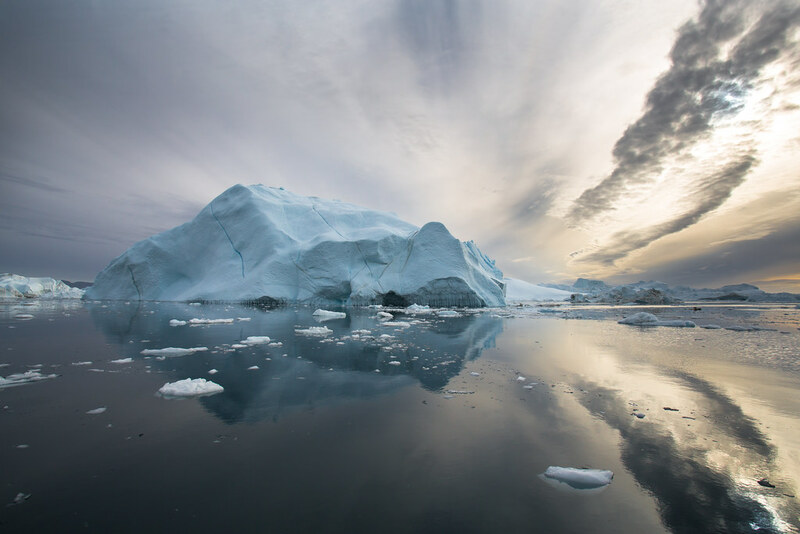 The active, immersive adventure will include kayaking among icebergs, Zodiac cruises past resting leopard seals, and hikes on the continent with the best ice team on Earth - an expedition leader, eight veteran naturalists, a National Geographic photographer, a Lindblad-National Geographic certified photo instructor, and an undersea specialist. Rates begin at AU$16,700 per person based on double occupancy in a category one cabin. Guests on the two departures will also receive a special saving of AU$1,000 and a complimentary charter airfare roundtrip between Santiago/Ushuaia. For reservations or additional information on Lindblad Expeditions-National Geographic voyages, visit au.expeditions.com, or call 1300 361 012 (AU), 0800 444 462 (NZ) or +2 9033 8700 (Asia). Private tours of English royal palaces, an exclusive dinner in Scotland's finest medieval castle, a stay at the London Ritz and journeys aboard the opulent Belmond Royal Scotsman train and the boutique Scottish ship, Hebridean Princess, are highlights of an exclusive new 2017 cruise tour released by Cruise Express. Departing Australia on August 7, 2017, 'A Very Royal Affair' is a luxurious, 21-night journey by road, rail and sea through England and Scotland. The tour begins with two days in London followed by an in-depth exploration of Scotland, including tickets to the Royal Edinburgh Military Tattoo, a private tour and morning tea aboard the Royal Yacht Britannia and a ride on the UK's highest railway. * Two nights in London's legendary Ritz Hotel. * Private tours inside Kensington Palace – home to Prince William and his family and once the home of Princess Diana - and Clarence House, home to Prince Charles and his wife and once the residence of the Queen Mother. * An overnight trip aboard the glamorous Belmond Royal Scotsman train from London to Edinburgh, including a champagne afternoon tea, cocktails, canapes and gourmet dinner and breakfast. * Three nights in Edinburgh including a private tour and morning tea aboard the Royal Yacht Britannia, premium tickets to the spectacular Royal Edinburgh Military Tattoo and a visit to the magnificent 17th Century Hopetoun House, billed as Scotland's finest Georgian manor. * A visit to Scotland's famous St Andrews Cathedral. * A trip up 1245m-high CairnGorm Mountain along a 40-degree funicular track - the UK's highest railway. * An elegant champagne reception and dinner in the multi-towered, 600-year-old Glamis Castle near Blairgowrie. 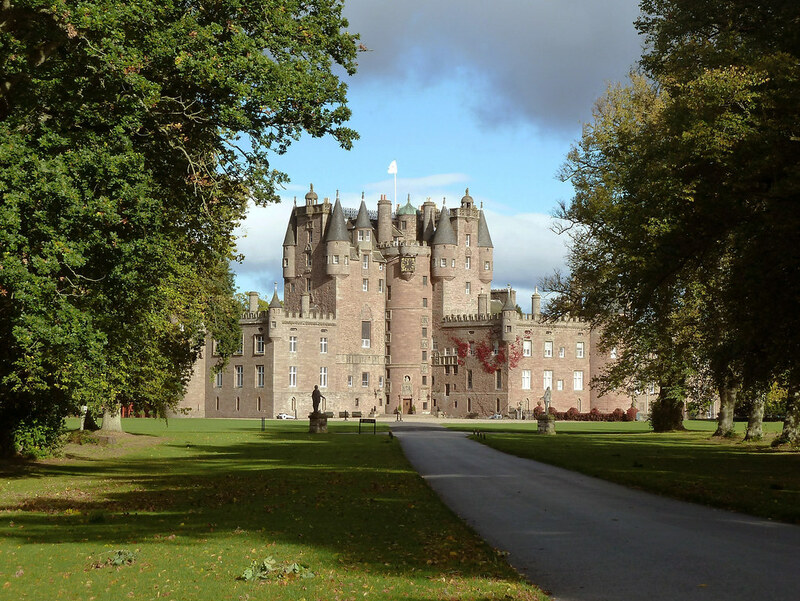 Described as Scotland's most beautiful castle, Glamis was the childhood home of the Queen Mother. * A visit to 227m-deep Loch Ness, home to the world's most famous monster. * A private tour with three course lunch in spectacular Inveraray Castle, nestled by a loch in the Scottish Highlands and home to the Duke and Duchess of Argyll. The centrepiece of the tour is a seven-night cruise from Invergordon to Oban around the top of Scotland and through the wildly beautiful islands of The Hebrides aboard the luxurious, 49-guest ship, Hebridean Princess. 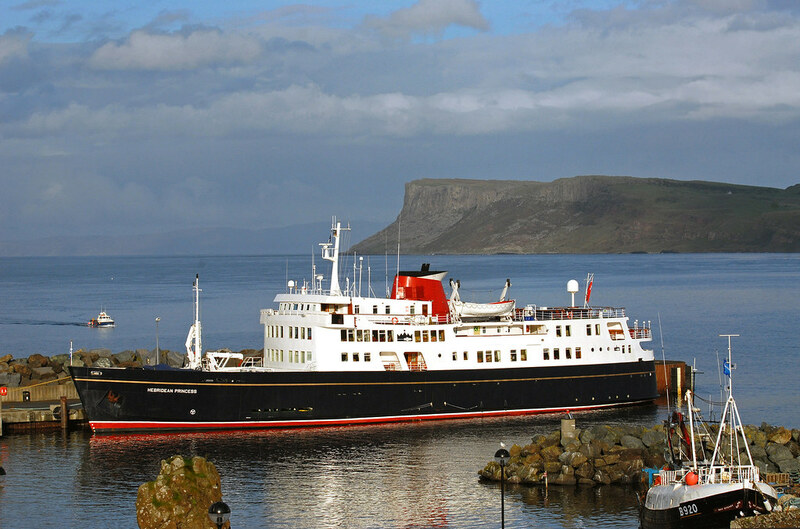 Twice chartered by the Queen for private family holidays, the Hebridean Princess boasts just 30 staterooms - each uniquely named and decorated in rich, baronial style. While enjoying gourmet cuisine, guests will visit ports such as Wick – home to the world's shortest street (just 2m long) – and picturesque fishing villages like Scrabster, Ullapool and Lochinver. Passengers can also explore the pretty islands of Skye, Raasay and Muck. Shore excursions and beverages are complimentary throughout the cruise. Including return flights from Australia, 12 nights' touring and the seven-night cruise, 'A Very Royal Affair' is available from $22,990 per person, twin-share from Sydney, Melbourne, Adelaide and Brisbane and from $22,590 per person, twin-share, from Perth. 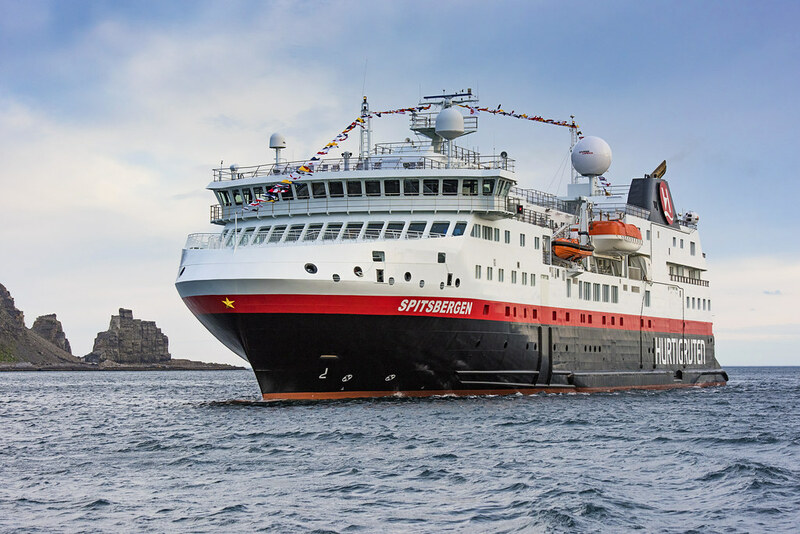 The much-anticipated christening of Hurtigruten’s new explorer vessel MS Spitsbergen saw a crowd of thousands gather in the town square of Svolvaer, a fishing village in Lofoten. The destination is one of the most spectacular in the world for adventure travel, and truly one of the highlights of the Hurtigruten Norwegian coastal voyages. After spending her first season in Norway, MS Spitsbergen will alternate between the Norwegian coast and polar expeditions. From 2017, guests can sail with her to Greenland, Iceland, the Faroe and Shetland Islands, as well as to Arctic Canada. Here, passengers will discover L'Anse aux Meadows, a UNESCO World Heritage site where the first Vikings settlements were discovered in 1960. 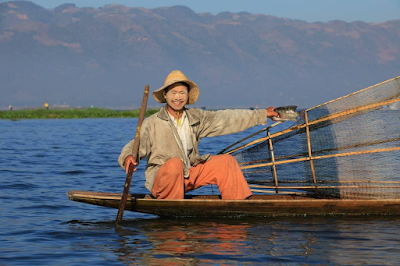 The Irrawaddy River is the lifeblood of Myanmar. Experiencing its many activities from sunrise to sunset is an essential part of any trip to the country. 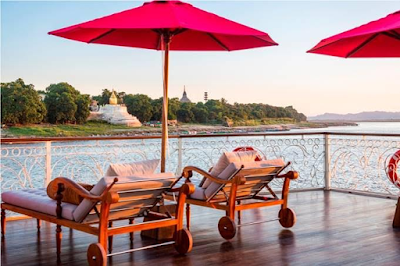 Asia travel specialists Insider Journeys are making an Irrawaddy cruise even more attractive with a limited time offer of up to $3,540* off selected cabins on their November charters booked before 31 July 2016.
Insider Journeys are offering the chance to see Myanmar like never before, balancing days of cruising in luxury on the stunning Irrawaddy Explorer with unique insights in pre and post backstreet walking tours in Mandalay and Yangon. Travellers have the opportunity to visit curious unknown pockets of these cities, such as the captivating market where the locals trade their wares on the railway track, dispersing whenever a train approaches, and seeing local life and the lesser known sites which give insights into aspects of culture and history visitors don't normally learn about. There's also the chance to kayak or sunset canoe around the stilt villages and floating farms of Inle Lake and to visit community projects that are focused on supporting local communities, improving their lives and protecting the local culture. The ship embraces the ambiance of a colonial era, with highly attentive staff, exceptional customer service, luxurious amenities and modern conveniences, a rejuvenating spa and a diverse menu of regional and western cuisines. 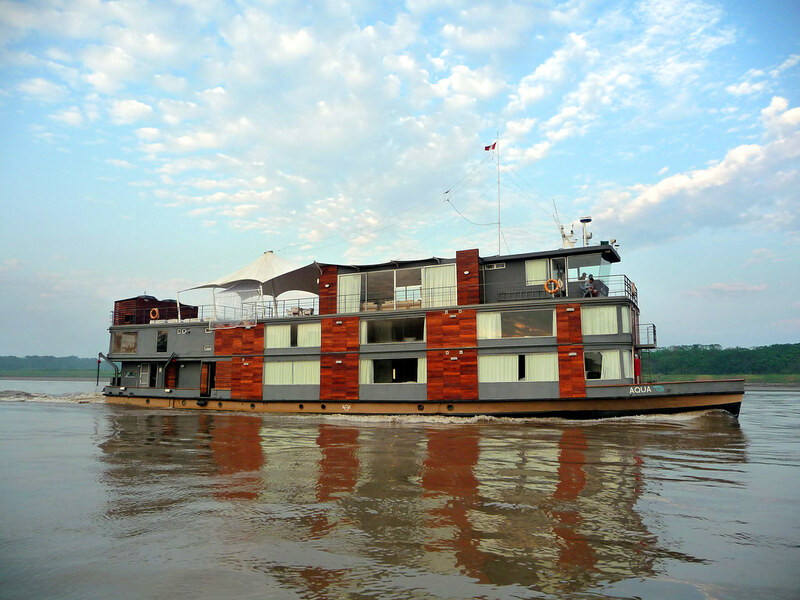 The 20 November departure travels upstream from Yangon – Irrawaddy River Cruise – Mandalay. 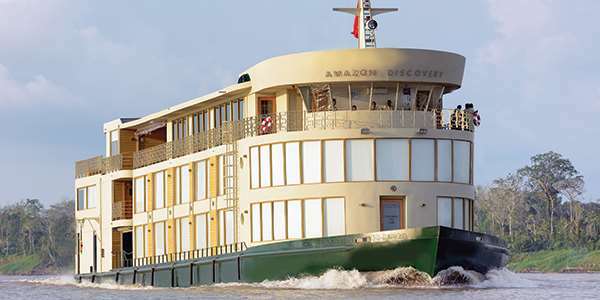 The 29 November departure downstream starts Mandalay – Irrawaddy River Cruise – Yangon. Visit www.insiderjourneys.com.au or call 1300 365 355 for bookings. * Save up to $3,540 in Insider Journeys' "Buy 1 Get 1 50% Off" for select cabins on the 20 November 2016 and 29 November 2016 Irrawaddy Explorer departures. Conditions apply, based on per person twin share basis only. Offer valid until 31 July 2016 or until sold out. Small ship cruising specialists, Aurora Expeditions, have launched an online competition offering experience seekers the chance to win a cruising adventure for two in the Galápagos Islands! 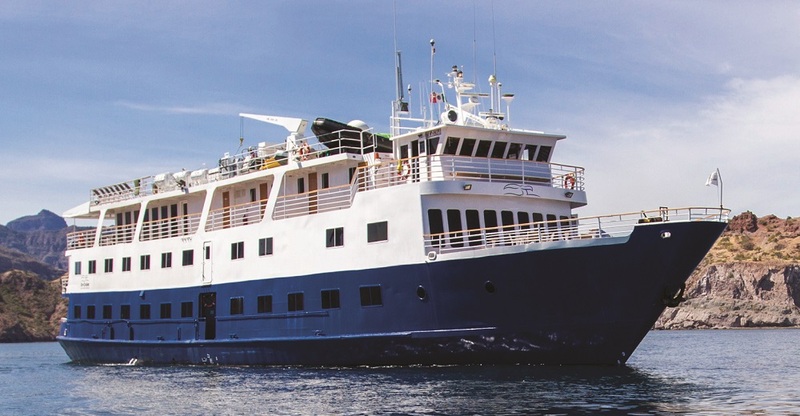 The 'Galápagos Experience' competition will give the lucky winners the chance to jump aboard Aurora Expeditions' inaugural 9-day voyage to experience the very best of the remote Galápagos Islands. From aboard 38-passenger Isabela II, they'll have the chance to enjoy experiences such as snorkelling with sea lions, hiking on powerful ancient lava flows, observing spectacular seabirds, meeting a giant tortoise and more! To enter the competition simply visit www.auroraexpeditions.com.au/galapagoscompetition and select the Galápagos experience you'd most enjoy and explain your choice in 30 words or less. The entry with the most inspired and creative response will win a cabin for two on Aurora Expeditions' inaugural Galápagos Odyssey, valued at US$13,200. The competition is open to anyone aged 18 years or older and closes 31 July 2016 11:59 PM, AEST. For full competition details visit www.auroraexpeditions.com.au/galapagoscompetition or for more information on Aurora Expeditions' Galápagos Odyssey expedition, visit www.auroraexpeditions.com.au. 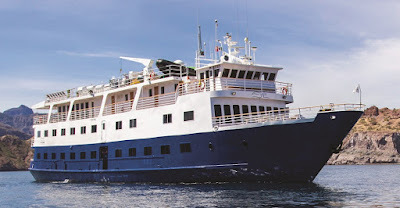 The prize includes one standard twin-share cabin for two people on Aurora Expeditions' Galápagos Odyssey expedition departing 3 October 2016, including return flights from Quito, Ecuador to the Galápagos Islands, 8 nights' accommodation aboard Isabela II including meals, all shore excursions and transfers to and from the ship in the Galápagos Islands. *The prize does not include international airfares to/from Ecuador, airport transfers, travel insurance, camera equipment, expedition clothing, passports, visas, vaccinations, meals not included in the expedition itinerary, optional activities, spending money, gratuities and all items of a personal nature including but not limited to: alcoholic beverages and soft drinks, laundry services, personal clothing, medical expenses, and email or phone charges. Australis Cruises has been named the #1 cruise line in the Small Ocean Cruises category in Travel + Leisure's World's Best Awards 2016. This is the first year that this category was added to the coveted World's Best Awards. Every year, the readers of Travel + Leisure, the largest travel magazine brand in the United States, vote on their favorite destinations, hotels, resorts, spas, airlines, cruise lines, tour operators, rental-car agencies, and more in the World's Best Awards survey. The awards experienced record participation this year. Travel-industry professionals are not invited to vote. In 2016, to reflect the ever increasing diversification of product within the cruise industry, Travel + Leisure editors made an editorial decision to have four ocean cruise categories. The former Small Ocean Cruises category (ships carrying fewer than 600 passengers) will now refer to lines with ships carrying between 250 and 599 passengers as Mid-Size, while Small refers to lines with vessels of under 250 passengers. Pedro del Río, Australis' CEO, said: "We are pleased and proud to be named #1 in the Small Ocean Cruises category for this prestigious award from Travel + Leisure. Our cruises are expeditions through southern Patagonia in Chile and Argentina. They appeal to travelers who look for adventure." Australis, with ships sailing through one of the wildest and most beautiful regions of the world, has been cruising in the southern-most channels of Patagonia for more than 25 years. 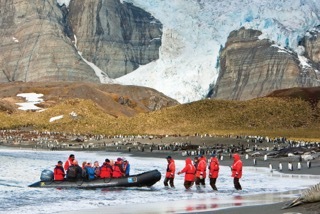 Dazzling experiences include majestic glaciers, Cape Horn, Wulaia Bay and extraordinary wildlife. These are journeys of discovery in a pristine natural environment that is home to magnificent flora and fauna. 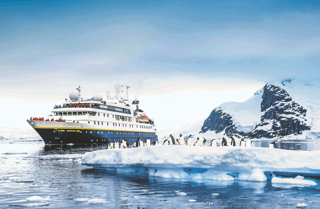 * Based in Chile, Australis offers 'bottom of the world' cruises in Patagonia and to Cape Horn aboard 200-guest expedition ships every summer. Soon we’re kicking away in the Komodo Sea, gliding over reefs teeming with multi-coloured tropical fish. We’re in a remote part of eastern Indonesia; our new home, the Ombak Putih, a glorious 12-cabin wooden schooner built in the traditional pinisi-style. For seven days, we’re island hopping with 18 passengers and 13 crew, exploring parts of the Indonesian archipelago most tourists never get to see. A cruise through the Northwest Passage changed the way authors Connie and Peter Roop thought about Arctic tourism. There are benefits, but the risks remain great. Some trips should not go ahead. 'Best of Italy and Croatia 2017' is a 19-night cruise-tour featuring a seven-night 'Best of Croatia' round-trip from Venice aboard Ponant's Le Lyrial and an exploration of Italy with a difference. As an example of French luxury yachting sophistication, Le Lyrial, sailing under the French flag and only a year old, tops the range. 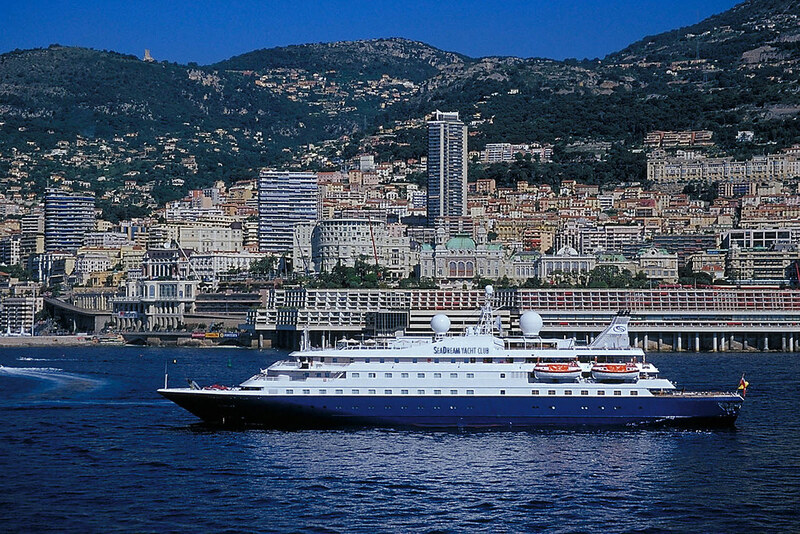 This boutique-size ship has just 122 staterooms and suites, to keep life aboard convivial and intimate. 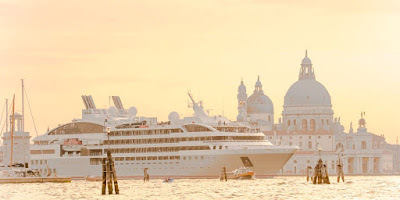 'Best of Italy and Croatia 2017', arranged and delivered by boutique voyage and cruise specialists Cruise Traveller (cruisetraveller.com.au) also includes an 11-night 'Italian Indulgence' small-group tour with Back-Roads Tours from Rome to Venice. The itinerary is distinguished throughout by vivid special experiences: cook up an Italian feast in a Tuscan villa, hunt for truffles in Piedmont, take a boat across Lake Maggiore to the Borromean Islands. You'll also wander the ancient streets of Split, where people still live in the palace built by Roman Emperor Diocletian. Discover Lake Orta, a hidden Italian gem enlivened by the captivating medieval village of Orta San Giulio. Also included in 'Best of Italy and Croatia 2017': 11 nights accommodation in Italy. You'll spend one night in Assisi, two nights in Tuscany, two nights in Lucca (often considered the most spectacular walled town in Italy), a night in Santa Margherita, a night in Cherasco, two nights at enchanting Lake Maggiore, a night in Negrar and a night in incomparable Venice. There are three departure dates in 2017 for 'Best of Italy and Croatia 2017' and the prices vary seasonally. The following prices (per person twin share, land only) all include twin-deluxe balcony accommodation aboard Le Lyrial. 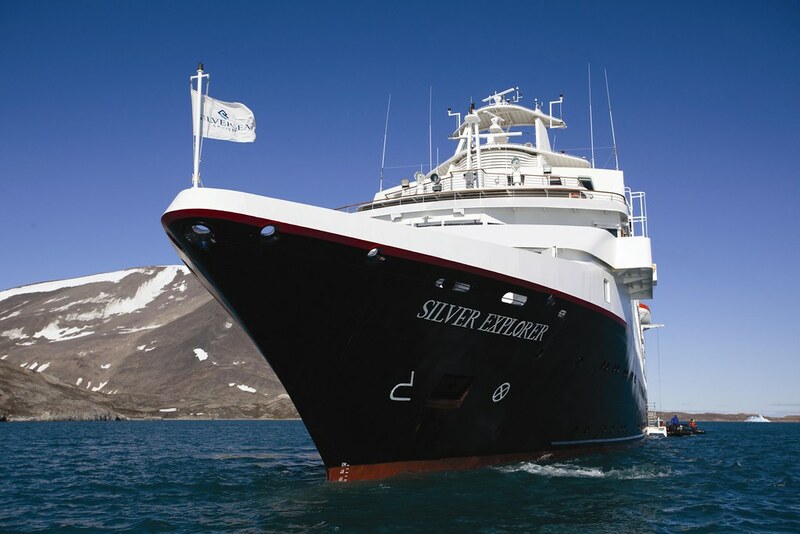 Silversea's luxury expedition fleet will expand to four ships in November 2017 when Silver Cloud joins Silver Explorer, Silver Discoverer, and Silver Galapagos. Fresh from an extensive refurbishment and conversion to an ice-class expedition ship, Silver Cloud launches a series of Antarctica voyages in November and December, featuring itineraries from 10 to 19 days, and sailing mostly roundtrip from Ushuaia. Silver Discoverer's new 16-day, Colombo-to-Kolkata cruise departs 11 February 2017 to explore the Andaman Islands and make the first-ever cruise ship visit to Bangladesh, with explorations of Chittagong, Maheshkhali Island, and the Sundarbans, one of the world's largest mangrove forests and a UNESCO World Heritage Site. A rare visit to Canada's remote Torngat Mountains National Park, renowned for its spectacular natural scenery, highlights a 31 August 2017 Silver Explorer expedition focused on Greenland and the Canadian Arctic, sailing 15 days from Kangerlussuaq to St. John's. 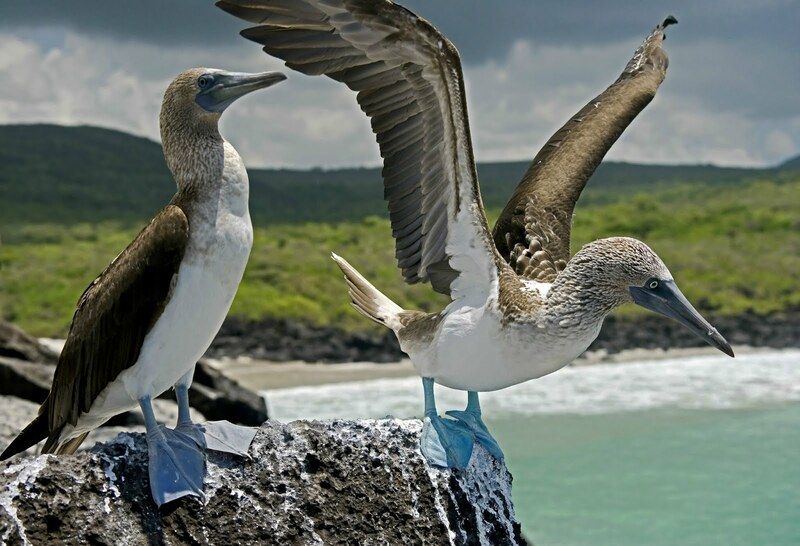 The expert guides of Silver Galapagos will continue to share their passion for these pristine and biologically diverse islands on two alternating seven-day itineraries exploring the north central and western isles. To view this brochure, visit Silversea.com/brochures or contact your travel professional or Silversea Cruises on +61 2 9255 0600 or 1300 306 872 (Australia) or 0800 701 427 (New Zealand). We really care about our customers at Active Travel, so we are always looking to improve our services in any way possible. To make sure that we’re offering you the very best of the best, then, we’d like to invite you to take our five-minute survey. This information will help us to streamline our services and understand better what you are looking for when planning your next holiday. After all, travel is about creating memories and we hope to help make sure those wonderful memories will last a lifetime. As a thank you for completing our survey, you will also go in the running to win one of 3 Lonely Planet coffee table books. The prize winners will be selected at random and you have to be in it to win it. So please complete our survey and allow us to make your next journey truly unforgettable. 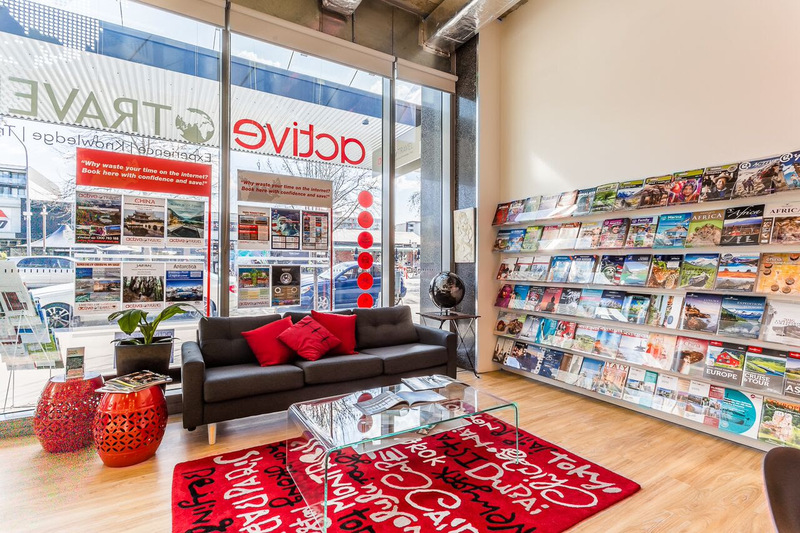 At Active Travel, we're constantly striving to ensure that we offer the finest content and advice to make your holiday experience the best it can possibly be. With that in mind, we focus on communicating with our loyal customers through a variety of different channels. Our website, for example, paints a vivid picture of 12 different holiday experiences. Covering a wide range of destinations, this allows you to search based on whether it's a relaxing holiday you're looking for, an active adventure, or a family friendly journey. Our newsletter also lets us share the latest deals and special offers, while our social media channels like Facebook, Twitter and Instagram allow us to update you in real time. Additionally, it is through these social channels that we can share our personal experiences and advice with you, providing inspiration for your next trip and beyond. Above all, we value our customers' point of view and invite you to connect with us via each of our different dynamic platforms. 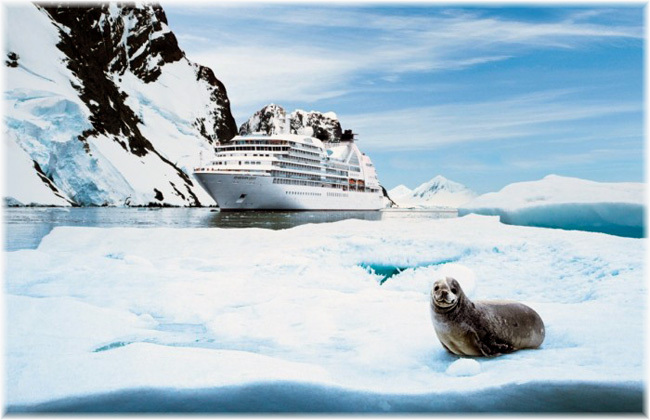 Silver Explorer opens the 2017 summer Arctic cruise season with untamed adventure, style and unmatched luxury on a 12 day voyage, departing 30 June 2017. Commencing in Iceland’s idyllic capital, Reykjavik, guests set sail to the seaside municipality of Isafjordur, an area a part of the West Fjords, the least populated region of Iceland. Silver Explorer continues her voyage, with stops at Vigur Island, Siglufjordur and Grimsey where guests can experience the stark contrasts of Iceland’s geography, from sheer cliffs to sprawling marshlands that are home to dense populations of bird species. The voyage then visits the untouched Svalbard region, affording guests the opportunity to explore land and sea teeming with wildlife. The voyage concludes in Longyearbyen, Norway with guests disembarking on 12 July 2017. Prices are per person, starting from AU$14,550 in an Adventurer Suite, based on double occupancy. Silversea Expeditions’ fares include: all shore and Zodiac excursions hosted by an expedition leader; all-suite accommodation with butler service; gourmet meals with menus inspired by Relais & Châteaux; complimentary wines, Champagne and spirits served throughout the ship; an outstanding expedition team of expert guides and lecturers; complimentary WiFi and all gratuities. That is exactly the invitation that greeted passengers aboard Heritage Expeditions’ recent ‘Papua New Guinea Explorer’. An area visited by the early-nineteenth century ethnographer Bronislaw Malinowksi, it is likely there have been few outsiders that have been fortunate to witness the ceremony where a newborn and parents are presented to the village for the first time following the birth. After being welcomed via a traditional ‘Sing-Sing’ to Eiaus, an island village that sits snugly in the Louisiade Archipelago, passengers and locals alike gathered at a modest family house to witness the proceedings. Set amongst the garden where the family go about their daily lives, passengers and locals blended together as the mother and father were cleansed with hot water before being adorned in papapus palm leaves and having their faces painted by family members. 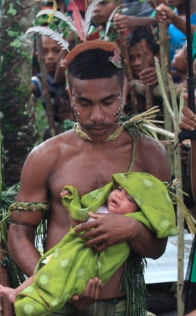 The ceremony occurs after an extended time of isolation from the rest of the village, so the excitement of meeting the newborn was palpable. Cheers broke out from locals and passengers as the newborn was brought out and placed in the father’s arms. Following the ceremony, those in attendance were offered a feast of tender pork stew, rice, yam, and tropical fruits as well as enjoying the buoyant atmosphere. It was a huge honour bestowed upon the expedition to share in this special moment with the village and one that will live on in the memories of the passengers aboard. 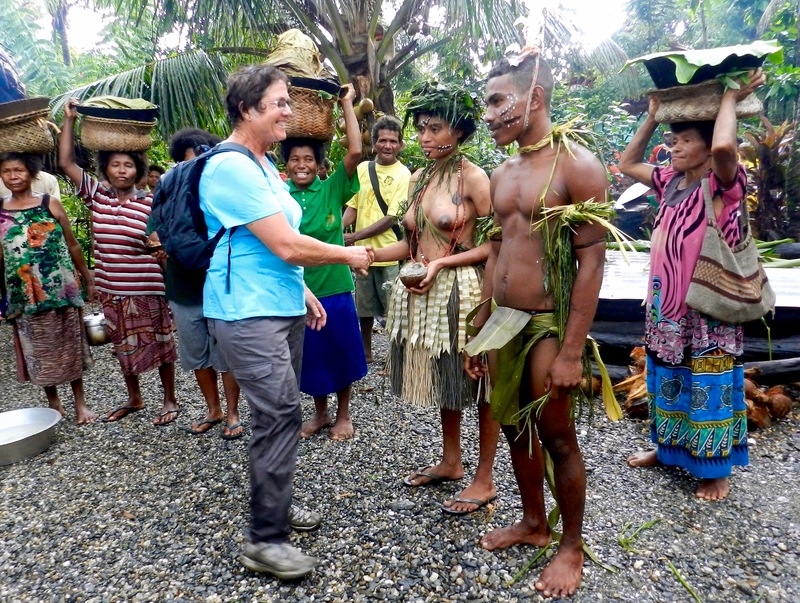 Heritage Expeditions explores the islands and villages of Papua New Guinea to provide authentic and unique experiences. With a capacity of just 50 passengers on each expedition the ship ‘Spirit of Enderby’ can access islands, villages and waterways that larger ships often cannot reach. 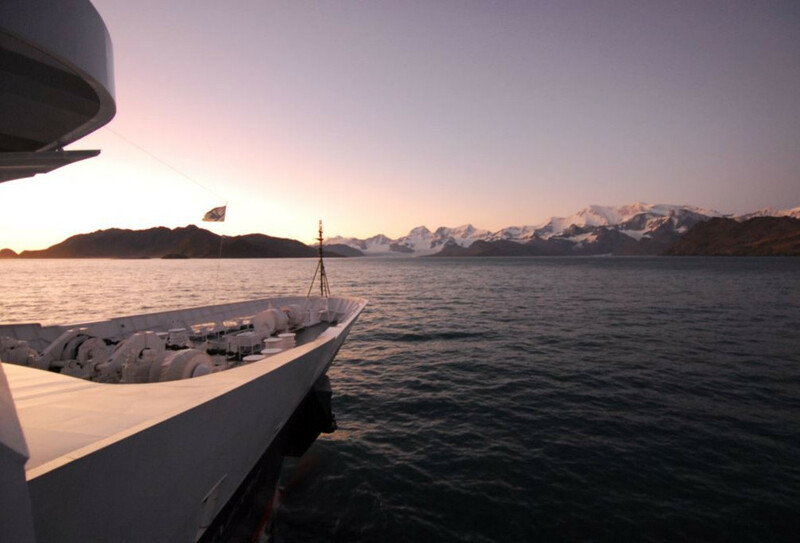 The small passenger numbers aboard also are conducive to a flexible daily programme allowing for the unique opportunities that present themselves as the expedition unfolds. IF you're into motor-racing and a taste of the good life also appeals, combine both on the French Riviera in May of next year when SeaDream Yacht Club sails a 5-day return voyage from Nice that includes the chance to visit the 2017 Monaco Grand Prix. SeaDream I sails from Nice on the evening of May 25, has a day and an overnight in St Tropez, Saturday of the race weekend at Cannes and then Sunday at Monte Carlo for either an optional-cost visit to the race final or to go sightseeing, and a final last day in San Remo before returning to Nice. Sailing price on SeaDream I begins from US$3604pp twin-share including wines with onboard gourmet lunches and dinners, premium drinks from the open bars, power and sail water sports where locally permitted, mountain bikes for shore expeditions, a no-charge onboard golf simulator and fitness centre, and port charges and taxes. Cost of entry to the Grand Prix is additional and will be announced six months prior to SeaDream's sailing. SeaDream I has just 56-staterooms for a maximum 112-guests served by 95-crew.